With the OHL season getting underway in late September, it was great to see so many 2001 born Alliance players making their OHL clubs. In addition to the 01’s, there were plenty of 2000 alumni who were also making the step to major junior hockey. As we did last season, every month we are going to be taking a look at some of the Alliance standouts each month and how they are doing in the OHL. Having covered both the 2001 and 2000 age groups extensively, I will be looking at both years to see who is standing out in the league and there are plenty. Another season has come and gone and now it is time to look ahead to one of the final chapters of the season, the 2017 OHL Priority Selection draft. Prior to any draft, you will see hundreds of different rankings for hundreds of different things. There wasn’t much change in my rankings from when they were released earlier this year. A couple of newcomers have joined the list and there was some shuffling around, but the top of the list remained the same. Ryan Suzuki (London Jr. Knights) – The reported favourite to go 1st overall come Saturday, Suzuki shows fantastic vision on the ice and pinpoint passing skills. A playmaker, Suzuki has shown the ability to light the lamp when needed. Brett Budgell (London Jr. Knights) – Budgell was a huge addition to London this season and helped them secure an Alliance championship and a semi-final run at the OHL Cup. Destined for the QMJHL, Budgell could be selected in the top 10. Grayson Ladd (Chatham-Kent Cyclones) – The best D in the Alliance this year, Ladd has fine tuned his play with the Chatham Maroons once his minor midget season ended. Aidan Prueter (London Jr. Knights) – Prueter has jumped up the list thanks to an impressive postseason run. Prueter has a knack for getting to the open areas and his puck control and possession is top notch. Keean Washkurak (Waterloo Wolves) – Washkurak’s speed is undeniable and the 110% he gives every shift is evident. His 200ft game will be coveted by many teams. Nathan Allensen (Waterloo Wolves) – Allensen was a workhorse for the Wolves near the end of the year. He defended many of the top players in Ontario this year with success and his offensive upside is very apparent. Stephane Crevier (Sun County Panthers) – Injuries slowed Crevier down a bit at the end of the year but the talented winger continued his strong play to the very end. A wicked shot from the slot and quick cuts allow him to create so many chances on the ice. Justin McCombs (Kitchener Jr. Rangers) – McCombs season was short due to injuries, but he showed in the postseason his value on the ice. Speed, vision and a strong defensive game should see him be one of the early Alliance picks. Jeffrey Burridge (London Jr. Knights) – The big winger was a hit at the OHL Cup due to his outstanding play. Burridge is a smooth skater with deceptive speed. Has the potential to develop into a strong power forward. Cole Mackay (Kitchener Jr. Rangers) – The Alliance leader in goals with arguably the best shot in the league, MacKay’s offensive upside could translate well to major junior hockey. His breakaway speed burned many teams this year. David Anderson (Cambridge Hawks) – Anderson really developed into a two way player through his minor midget season. A lethal scorer, his defensive skills were on display during the OHL Cup. Ryan Campbell (Cambridge Hawks) – Campbell had one of the best showings at the OHL Combine and that should boost his stock. Campbell’s play with the Winterhawks has also showed strong possibilities. Aidan Pitre (Sun County Panthers) – The top and only goalie in the rankings, Pitre helped carry Sun County to a playoff win over Elgin-Middlesex. Pitre has size and has great poise under pressure. Cole Schwindt (Kitchener Jr. Rangers) – Schwindt is a player many would enjoy on their roster as a strong defensive forward. Schwindt did a great job this season filling in as the top centre with McCombs out due to injury and impressed many onlookers. Jordan Stock (Hamilton Huskies) – One of my personal favourites in the Alliance this year, Stock is a smooth forward who was a nightmare for defenders down low. Navrin Mutter (Elgin-Middlesex Chiefs) – Mutter joins the list after just missing out earlier this year. Mutter is a physical force combined with offensive prowess. Liam Van Loon (London Jr. Knights) – Many were raving about Van Loon at the OHL Cup and for good reason. The overtime hero for London in their Alliance clinching game, Van Loon gives it his all every second on the ice. He has an underrated shot that surprises many defenders. Mark Woolley (Elgin-Middlesex Chiefs) – One of the best showings at the OHL Combine went to the Chief’s Woolley. Has speed and a bullet from the backend that compliments his physical style. Some added size will help propel him further. Mason Howard (London Jr. Knights) – Another physical defenseman, Howard uses his great hockey IQ to always put himself in a spot for success. With some of the biggest hits I saw all season, Howard could be a force at the Jr. B level next season. Nolan DeGurse (Lambton Jr. Sting) – DeGurse was the main offensive option for the Jr. Sting this season. A centre on the smaller end of the size chart, DeGurse uses his quick cuts and even quicker release to capitalize on small chances. Jagger O’Toole (Cambridge Hawks) – O’Toole played some major minutes for the Hawks this year which included time up with the Winterhawks. A two-way defender, O’Toole’s stick handling is vastly understated. Gavin Wood (Waterloo Wolves) – Wood showed a lot of improvement in multiple aspects of his game this season. He began the year as a solid defensive option and turned into an offensive threat, leading the offensive rush on several occasions. Brayden Krieger (Waterloo Wolves) – Krieger was a great secondary scoring option for the Wolves this season. Krieger has good speed and smooth puck skills that allow him to get solid shooting options. Aaron Shaw (Windsor Jr. Spitfires) – Shaw was a focal point of the Windsor offense this season playing alongside Tyler Tullio and Adam Jeffery. Shaw is underrated in my mind and could turn into a solid value pick for one lucky club. Jacob Bloomfield (Brantford 99ers) – Rounding out the list is Bloomfield, the shifty 99er forward. Bloomfield has speed and skill that can create ample amounts of chances, which was displayed during All-Star weekend. Small in size now, Bloomfield has loads of potential should a growth spurt occur. That does it for the Alliance Scout Top 25 player rankings. This was not an easy list to compile and there were a lot of players that just missed out. During the 2016 OHL Priority Selection draft, 22 out of the 25 players listed in the final top 25 rankings were taken. 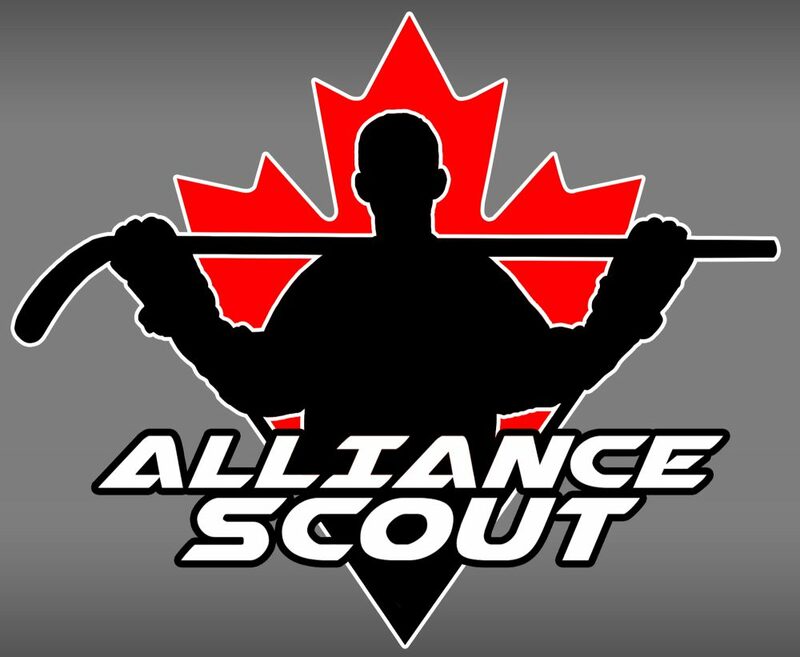 Follow all the action right here at AllianceHockeyScout.com beginning at 9am on Saturday. We will be keeping you up to date on all Alliance players and goalies selected by OHL clubs. After four months of hockey and a whirlwind of games, we have finally reached, in my opinion, the top five players in the Alliance association. The top five is mainly dominated by incredibly skilled forwards and a player who I’ve heard some comparisons to a top end defenseman from last season. Apologies for missing the rankings last week. The flu bug ran around the household and put myself out of capacity for some time. Back and full of health, it was a busy and interesting weekend in the Alliance. Much like myself, a few teams have begun preparations for the Silver Stick tournament in Whitby coming up on Thursday. Some teams shined as Waterloo and Kitchener both had successful weekends at home while others like Windsor and Sun County faltered a bit. Tomorrow will mark exactly two months until the Alliance regular season and while there aren’t a tonne of races, there is still plenty of time for teams to make a significant jump or stumble towards the end. The Cyclones of Chatham-Kent were just able to hold onto the final playdown spot during the Minor Midget season last year, falling to the London Jr. Knights. The Cyclones are hoping a cohesive squad with another year under their belt together can lead to some successful improvements. Last year, the Cyclones were a team that could score with the best of them, but struggled to stop a shootout from occurring. Led by forwards Grant Spence and Eric Carter, Chatham was quickly climbing the standings at one point last season before ultimately dropping down to 8th spot. Though the Cyclones were swept by London, they showed incredible heart, especially during a tight game one.